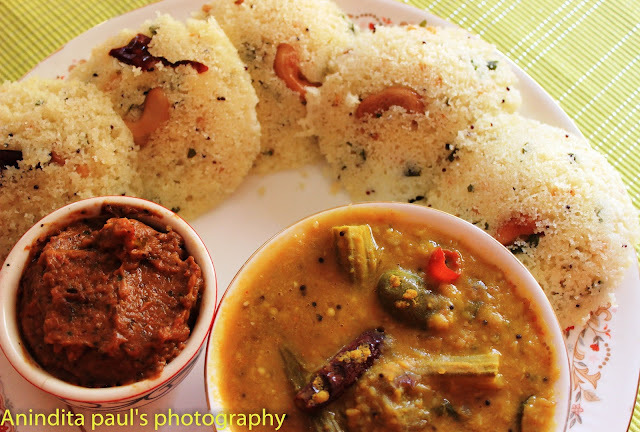 I feel there is nothing more versatile in the kitchen than sooji or rava as it is called in South India.This ingredient can be made into many delicious preparations with just a few ingredients.Be it rava dosa,sooji dhokla ,cutlets with sooji or sooji laddu ,each one is as appealing than the other .The rava idli or idli made out of sooji is one breakfast which is loved and relished in my house. this is made using the thicker variety of sooji ,not the finer one which is used for halwa.The curd used here is thick ,it is okay if it is little on the sour side.I often make this preparation using curd which is leftover in the fridge and has gone little sour. 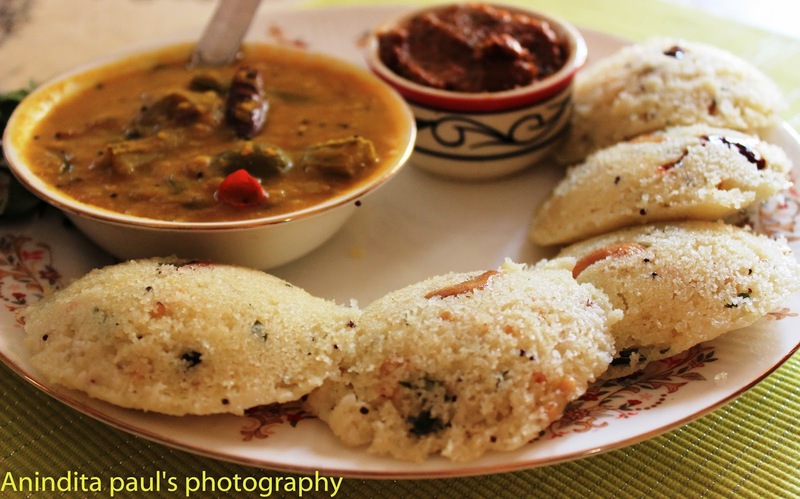 This idli is an ideal lunch box menu because it is very filling ,unlike the regular idli and tastes equally good when not warm. Any accompaniment goes well with it,be it sambar ,any south Indian chutney or the modest pickle. It just tastes as superb as it looks. 2-Take the rava in a fairly big vessel. 3-add the hot oil with the four tempering ingredients into the rava. 4-Mix well with a spoon ,as it will be very hot to work with hand. 6-Now add the curd and the water and mix well . 9-.-Get the steamer or the idli stand ready ,with the greased moulds. 11- -After 15 minutes check if it has absorbed the water. The idlis look soft and yumm, we have it at least once in 2 weeks..